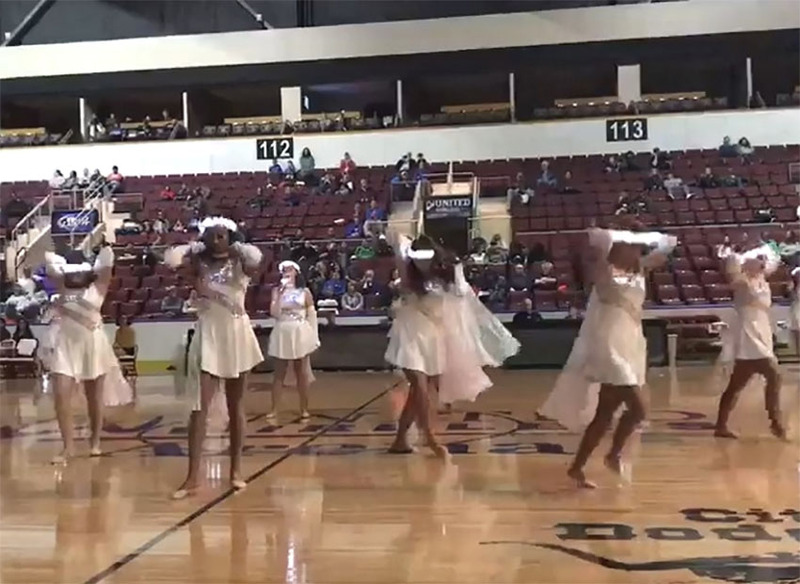 In these days, a special video was uploaded online, in which the girls from the Dodge City High School impressed everyone with their talents. It was at the annual tournament called Tournament of Champions, where young basketball players competed to show which team is the best. Many viewers were not excited just about the game of basketball players, but about the dance performance of girls from the school, when they showed their dance talents during the half-time. First, the girls set themselves up on the parquet floor, then one of them started to sing the famous song "Hallelujah", under which Leonard Cohen is signed. The dancers started with their dance routine, then the lights suddenly turned off during the performance! When the darkness took over the hall, the girls conjured up a wonderful atmosphere with the help of lighting devices. Their perfomance took over many in the hall, and the video footage of their dance is already a real sensation on the web. Look at what performance those girls from Dodge City High School Dodge City in Kansas prepared not long time ago. Will they impress you too?